John Grady Cole, a 16-year-old dispossessed Texan, crosses the Rio Grande into Mexico in 1949, accompanied by his pal Lacey Rawlins. 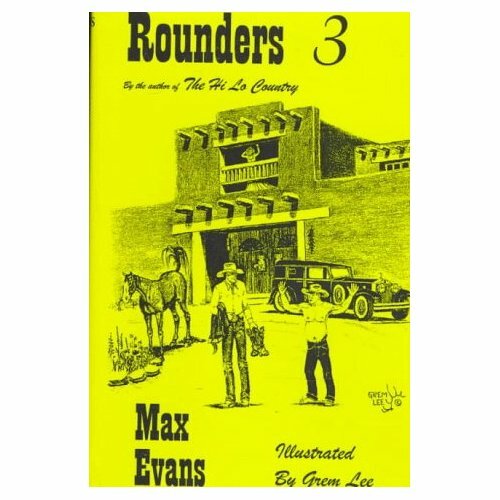 The two precocious horsemen pick up a sidekick–a laughable but deadly marksman named Jimmy Blevins–encounter various adventures on their way south and finally arrive at a paradisiacal hacienda where Cole falls into an ill-fated romance. Kidnapped form his safe California home. Thrown into a life-and-death struggle on the frozen Artic wilderness. Half St. Bernard, half shepard, Buck learns many hard lessons as a sled dog: the lesson of the leash, of the cold, of near-starvation and cruelty. And the greatest lesson he learns from his last owner, John Thornton: the power of love and loyalty.Yet always, even at the side of the human he loves, Buck feels the pull in his bones, an urge to answer his wolf ancestors as they howl to him. A stunning panorama of the West, CENTENNIAL is an enthralling celebration of our country, brimming with the glory and the greatness of the American past that only bestselling author James Michener could bring to stunning life. From the Native Americans, the migrating white men and women, the cowboys, and the foreigners, it is a story of trappers, traders, homesteaders, gold seekers, ranchers, and hunters–all caught up in the dramatic events and violent conflicts that shaped the destiny of our legendary West. Death Comes for the Archbishop traces the friendship and adventures of Bishop Jean Latour and vicar Father Joseph Vaillant as they organize the new Roman Catholic diocese of New Mexico. Latour is patrician, intellectual, introverted; Vaillant, practical, outgoing, sanguine. Friends since their childhood in France, the clerics triumph over corrupt Spanish priests, natural adversity, and the indifference of the Hopi and Navajo to establish their church and build a cathedral in the wilderness. The novel, essentially a study of character, explores Latour’s inner conflicts and his relationship with the land, which through the author’s powerful description becomes an imposing character in its own right. He was a man etched by the desert’s howling winds, a big, broad-shouldered man who knew the ways of the Apache and ways of staying alive. She was a woman raising a young son on her own on a remote Arizona ranch. And between Hondo Lane and Angie Lowe was the warrior Vittoro, whose people were preparing to rise against the white men. Now the pioneer woman, the gunman, and the Apache warrior are caught in a drama of love, war, and honor. Set in the late nineteenth century, Lonesome Dove is the story of a cattle drive from Texas to Montana — and much more. It is a drive that represents for everybody involved not only a daring, even a foolhardy, adventure, but a part of the American Dream — the attempt to carve out of the last remaining wilderness a new life. With humor and pathos author Schaefer chronicles the passing of the Old West. In loosely connected episodes he vividly portrays the life and times of working cowboy Walsh, side-kick Chet Rollins, and other memorable characters of the Slash Y. Here are shootings, cattle drives, winter storms, and spring floods; cattle rustling, romancin’ and horse breaking. Man and beast, pushed to the limits of their endurance, survive or perish. In the remote border country of South Utah, a man is about to be whipped by the Mormons in order to pressure Jane Withersteen into marrying against her will. The punishment is halted by the arrival of the hero, Lassiter, a gunman in black leather, who routs the persecutors and then gradually recounts his own history of an endless search for a woman abducted long ago by the Mormons. Secrecy, seduction, captivity, and escape: out of these elements Zane Grey built his acclaimed story of the American West. In this saga beginning in the days of Pancho Villa, Ignacio Ortiz, an orphan and a runaway searching for his past, lives through eras of intense change, including two world wars and the beginning of the modern West. As these turbulent events serve as backdrop to his life, Ignacio’s loyalties will be tested by the passions of his tempestuous employers–the MacAndrews clan. Novel by Conrad Richter, published in 1936, presenting in epic scope the conflicts in the settling of the American Southwest. Set in New Mexico in the late 19th century, the novel concerns the often violent clashes between the pioneering ranchers, whose cattle range freely through the vast sea of grass, and the farmers, or “nesters,” who build fences and turn the sod. Against this background is set the triangle of rancher Colonel Jim Brewton, his unstable Eastern wife Lutie, and the ambitious Brice Chamberlain. Richter casts the story in Homeric terms, with the children caught up in the conflicts of their parents. Big Sky by A. B. Guthrie, Jr.
A legend before he turns 20, Boone Caudill becomes a powerful White Savage, an untamed life force that only one woman, the beautiful daughter of a Blackfoot chief, would dare to love. It is this magnificent spirit that Guthrie celebrates with his vivid storytelling–the glory of the bigness, the wildness, the freedom and undying dream of the West. In The Rounders, Dusty meets a roan named Old Fooler, a horse whose hooves should be cloven, he’s so mean-spirited. When Dusty’s not trying to send Old Fooler back to the devil, he is nursing the wounds, both physical and emotional, inflicted by the evil horse. In The Great Wedding, Dusty arranges to marry off his buddy, Wrangler, to a rich woman in Santa Fe, so they can all live happily ever after. High society in the Hi Lo Country will never be the same after a brush with these two rowdy range riders. And in the final, Spur Award-winning Novella The Orange County Cowboys, modern times catch up with Wrangler and Dusty when their boss, Jim Ed Love, plans to sell his ranch, their only home, to a Japanese investor. 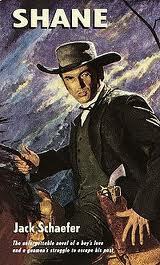 This is the all-time classic novel chosen by the Western Writers of America as one of the best western novels ever wrttten. It is also the inspiration for John Wayne’s last great starring role–the acclaimed 1976 film, The Shootist. To the ranchers and farmers of 1950s Texas, man’s biggest enemy is one he can’t control. With their entire livelihood pegged on the chance of a wet year or a dry year, drought has the ability to crush their whole enterprise, to determine who stands and who falls, and to take food out of the mouths of the workers and their families. To Charlie Flagg, an honest, decent, and cantankerous rancher, the drought of the early 1950s is a foe that he must fight on his own grounds. Refusing the questionable “help” of federal aid programs, Charlie and his family struggle to make the ranch survive until the time it rains again-if it ever rains again. In the untamed West, pioneers came to test their fortunes — and their wills. The Wyoming territory was a harsh, unforgiving land, with its own unwritten code of honor by which men lived and died. Into this rough landscape rides the Virginian, a solitary man whose unbending will is his only guide through life. The Virginian’s unwavering beliefs in right and wrong are soon tested as he tries to prove his love for a woman who cannot accept his sense of justice; at the same time, a betrayal by his most trusted friend forces him to fight against the corruption that rules the land. Charles Portis has been acclaimed as one of America’s foremost comic writers. True Grit is his most famous novel–first published in 1968–and the basis for the movie of the same name starring John Wayne (for which he won his only Academy Award). It tells the story of Mattie Ross, a fourteen-year-old girl from Dardanelle, Arkansas, who sets out in the winter of eighteen seventy-something to avenge the murder of her father. My initial reaction — I enjoyed the story, and believe it is worth reading; I’m still working on my thoughts about the novel, more later.